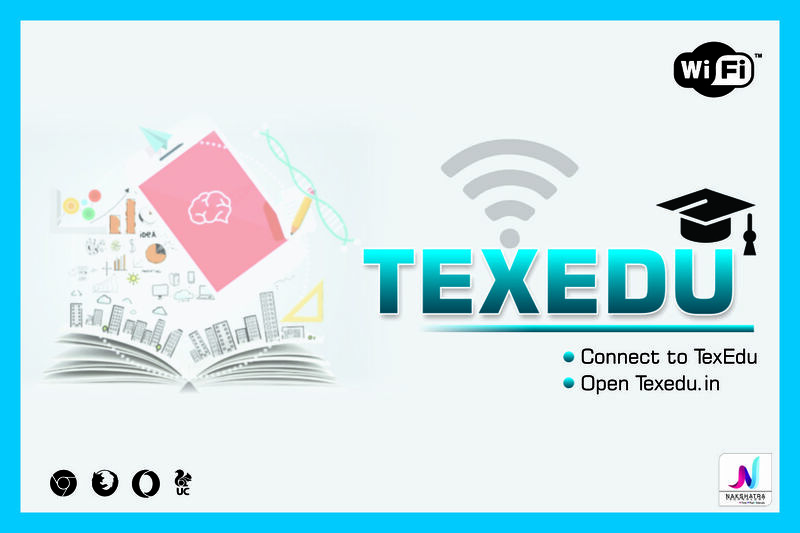 Tex-Edu is Nakshatra’s proprietary product, that offers offline content to the users at any given point of time; provided the users is connected to our device. It offers hi-speed surfing/ retrieving of content, without being connect to internet. Development of this was led to be inline with latest technology and help educational sectors with their shortcomings. You can provide, content in the form of PDFs, video tutorials, videos of thought speakers for motivation. It offers hi-speed surfing/ retrieving of content, without being connect tointernet. Device can be mounted anywhere & can be accessed upto 50 meters. At a given instance, 50 users can access and can connect simultaneously. The device can run upto 36 hours once fully charged. (Optional)Physical size of the device is 86mm X 57mm.Supports 50+ multimedia formats. It is portable, easy to install anywhere you want.Suitable for Colleges, Coaching classes etc. Device is compatible with any screen size, so it can be accessed from cell phone, tablets, laptops.